Conference Rental’s largest office in North America, a 4,800 sq. ft. space housing the latest technology solutions in conference microphones and interpretation equipment, is located right off the beltway with easy access to the heart of Washington DC, the DC Metro Area and Baltimore. This office also includes a training room for up to 50 participants. 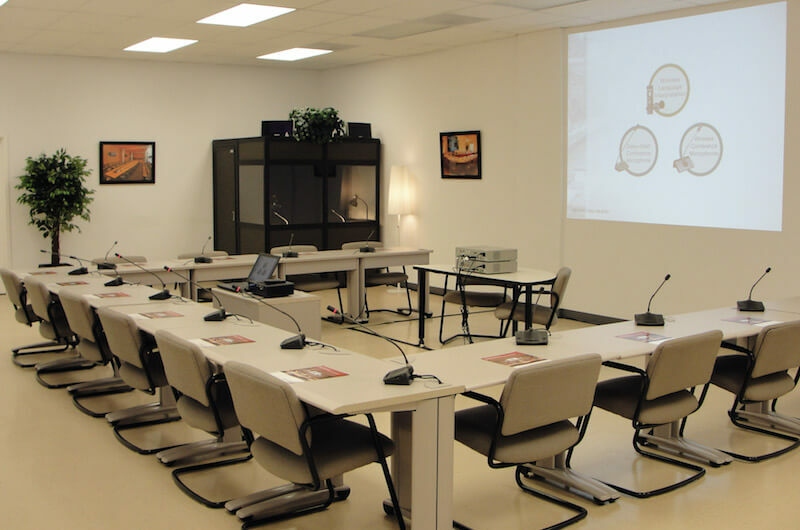 The flexible training room is fully equipped with wired and wireless conference system, and simultaneous interpretation including interpreter booths. We welcome interpreters to test the equipment and train on the latest interpretation consoles in the industry.